Barbie® Opens the Giant Pink Doors of Her Dream Closet in a New Global Brand Campaign | Mattel Inc.
EL SEGUNDO, Calif.--(BUSINESS WIRE)-- This year, Barbie® invites girls to play with fashion and dress up their imaginations with a new global brand campaign. 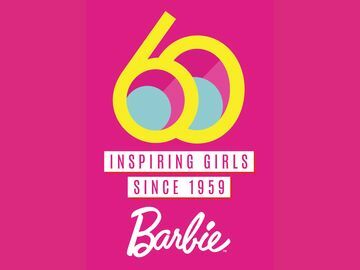 For more than 50 years Barbie® has been the world's most popular fashion doll, inspiring girls to ‘try on' different roles and encouraging them to play out their dreams. The "See What Happens When You Play with Barbie®" campaign celebrates the style icon and her role in delivering a never-ending array of fantasy-to-career outfits for girls to explore. The television advertising campaign opens the giant pink doors to Barbie's Dream Closet and is complemented by an augmented-reality online destination, apparel for girls, and new product introductions that put Barbie®, and her fashion heritage, center stage. "In Barbie's world, role play often leads to real life. Barbie gives girls the opportunity to be anything they want to be from a princess to a president," said Stephanie Cota, Senior Vice President, Global Barbie Marketing at Mattel. "The new global campaign celebrates the ‘wow' girls experience when they play with Barbie. After all, the only thing bigger than Barbie's world is a girl's imagination." Debuting at the famed Lincoln Center, Barbie® will unveil a larger-than-life installation of her ultimate Dream Closet complete with 24-foot tall, jewel encrusted doors leading into a two-story, 9,000 square-foot set with multiple dressing vignettes. The New York Fashion Week installation will transport fashionistas and fans in the area inside Barbie's fantastical wardrobe complete with augmented reality technology "mirrors" that allow users to literally doll themselves up in Barbie's most iconic, playful and glamorous outfits from the past five decades. Live models also will "dress the set" adorned in high-luxe looks on loan from the Albright Fashion Library, an exclusive couture library that includes styles from Oscar de la Renta, Alexander McQueen, Gucci, Moschino, Chloe, and Burberry. 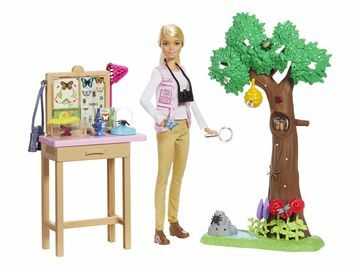 "February in New York is one of Barbie's favorite times of the year," added Cota. "Toy Fair and Fashion Week are epic industry events and a true intersection between toys and fashion - what more could a doll want?" Beginning this month, new commercial spots will transport girls into a fantastical world of pink poodle topiaries and cotton candy clouds. Directed by Floria Sigismondi, best known for the popular music videos of such artists as Katy Perry and Christina Aguilera, the spots showcase that same whimsical art direction through Barbie's pink lens. The hyper-real global brand spot will run in countries such as the United States, France, Brazil, Australia, Mexico, and Germany. Additionally, the iconic Barbie® Dream Closet door imagery will be incorporated into both Barbie™ licensed consumer product and toy television spots, offering consumers a consistent brand promise across the entire product portfolio. To tease the new Barbie™ branded apparel line for girls that is launching throughout 2012, the ruffled pink skirt, necklace-embellished print tee-shirt and cropped denim jacket worn by the lead girl in the commercial spots will be available for purchase through the brand's new online destination BarbieWow.com. BarbieWow.com opens its online doors on February 9th as the brand's first single, global digital destination. The pink portal will transport fans in more than 30 countries inside Barbie's Dream Closet with unique brand integrations and new media channels of "sharing and trending" that will turn raiding Barbie's wardrobe into real-time, globally-shared experiences. Once inside her Dream Closet, girls of all ages can explore a world of endless fashion, accessories and imaginative play, through interactive activities such as a design studio to dress up Barbie® and augmented-reality "mirrors" to dress up themselves using the doll's favorite fashions. In partnership with top digital and style destinations Polyvore, Pinterest and Rent the Runway, girls can take inspiration from Barbie to create real-life looks and designs that are all their own. The site also features a section titled "Behind Pink Doors," where top fashion influencers share stories behind meaningful pieces from their personal closet as an example of the transformative power of fashion. Girls of all ages will have the opportunity to design, inspire and create with new Barbie® products that will be introduced throughout the year. Currently available, Barbie® Design & Dress Studio allows girls to design her very own fashions for Barbie, and the Barbie® I Can Be™… Fashion Designer doll celebrates Barbie® doll's newest career as a Fashion Designer. This fall, Barbie® will take technology to new fashion heights with the Barbie® Photo Fashion doll that not only takes and stores up to 100 high-resolution photos, but can also instantly display these photos on the doll's tee-shirt for the ultimate in customization. For high-res images or broadcast-quality b-roll please visit www.BarbieMedia.com. BARBIE and associated trademarks and trade dress are owned by Mattel, Inc. ©2012 Mattel, Inc. All Rights Reserved.